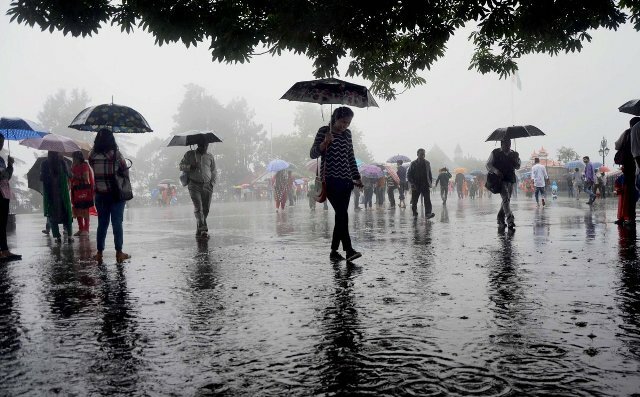 ONI Bureau: The Regional Meteorological Centre on Thursday predicted more rains for another 24 hours following low pressure over the northwest Bay of Bengal with an associated cyclonic circulation. The Met department predicted heavy to very heavy rain to lash at isolated places in Odisha. Likewise, heavy to very heavy rain at isolated places over Chhattisgarh and isolated places over Gangetic West Bengal, Jharkhand, Uttarakhand, UP, MP and north coastal AP. Reportedly squally winds speed reaching 40-50 kmph gusting to 60 kmph very likely along & off West Bengal & Odisha coasts. Rough to very rough sea conditions are likely to prevail over North Bay of Bengal off Odisha, West Bengal-Bangladesh coasts. Fishermen are advised not to venture into these areas. Reportedly, Baitarani river is flowing above the warning level at Akhuapada in Bhadrak district with an increasing trend. Regional Meteorological department also warned of thunderstorm, lightning and rain at one or two places over 25 districts of Odisha today. The alert has been issued for Sambalpur, Jharsuguda, Bhadrak, Kendrapara, Jagatsinghpur, Jajpur, Bolangir, Ganjam, Gajapati, Koraput, Malkangiri, Puri, Khurda, Cuttack, Angul, Dhenkanal, Balasore, Keonjhar, Kandhamal, Rayagada, Mayurbhanj, Nayagarh, Deogarh, Kalahandi and Sonepur districts.